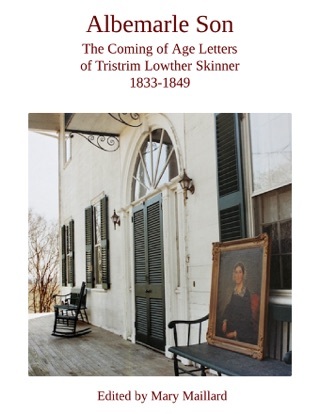 The antebellum letters in the Skinner Family Papers – housed in the University of North Carolina’s Southern Historical Collection in Chapel Hill – were written primarily by Tristrim Lowther Skinner; his sister, Penelope; his father, Joseph Blount Skinner; and his sweetheart, Eliza Fisk Harwood. These eloquent documents reflect a complex and densely layered world teeming with life, vibrant in their particularity. Marked by great depth and continuity, the letters reveal much about the background of a terrible war, the subtleties of courtship and coming-of-age rituals, and the season-to-season labors of the “lean decade.” Here is an Old South that challenges contemporary ideas of belles and debutante balls, defies the myth of the languid planter basking in sun-drenched abundance, and redefines a genteel society within the context of a devastating economic collapse. Here is an Old South practicing restraint and attempting to live within its means. 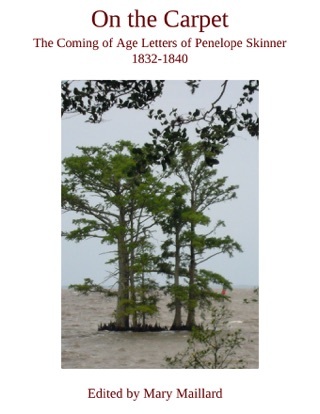 Mary Maillard’s extensively researched monograph is an essential guide for readers of the coming-of-age letters of Penelope, Tristrim, and Eliza Harwood Skinner, as well as a general introduction to antebellum southern culture in North Carolina and Virginia. 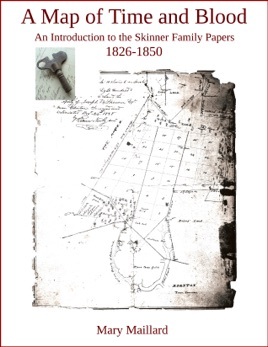 Like other planter correspondence, almost nothing is mentioned in the Skinner Family Papers about the institution of slavery – although several slave lists survive. As Maillard explains, the Skinners’ attitudes towards slavery were complex, contradictory, and conflicted, particularly in that the family had evolved in three generations from antislavery Quakers to slaveholding planter elites. 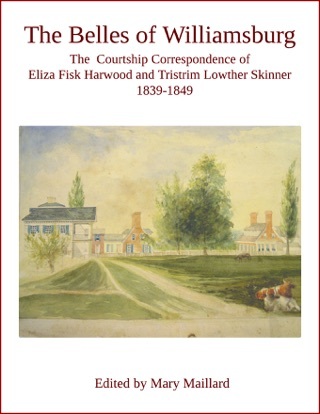 Connecting 18th century documents in the Skinner papers with those in Swem Library at the College of William and Mary, Maillard also reconstructs longstanding kinship links between Edenton, North Carolina, and Williamsburg, spanning nearly a hundred years.